Two records for Ride Along, right off the bat: biggest January weekend, edging out Cloverfield’s $40.1 million, and highest-grossing original comedy debut since Ted hit in June 2012. Per Box Office Mojo, the viewership breakdown was “57 percent female, and 54 percent over the age of 25. The ethnic breakdown was 50 percent African American, 30 percent Hispanic, and 12 percent Caucasian.” So there’s another little piece of data to gesture toward the next time an influential Hollywood exec assumes all movies should always be geared toward white men. 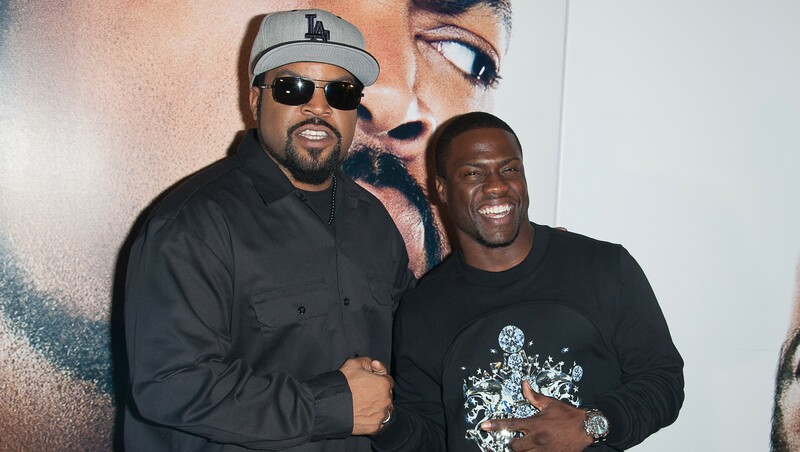 More on Kevin Hart, though: He has at least three more movies coming this year, and a sequel to Ride Along has been in development since April 2013. A pretty soft decline for this one. Hopefully Peter Berg and Mark Wahlberg teamed up to make Glenn Beck a thoughtful, crafty thank-you gift for all the support. New animation studio ToonBox jumped in and stole Frozen’s seat after the latter enjoyed a solid two months near the top. Not that the same level of quality’s there — there’s voice work from Will Arnett and Liam Neeson, but there are also performances by Brendan Fraser and Katherine Heigl — but sure, take the kids, why not. They can only see Frozen so many times. Wondering how this one did in comparison to early Jack Ryan/Tom Clancy movies? It was right up there with The Hunt for Red October! “Unfortunately, Red October hit theaters 24 years ago, when average ticket prices were about half of what they are right now,” Box Office Mojo writes. Oh. So it’s another case in which the movie has to hope its stars and its things-go-boom angle will earn overseas success. Stilllll going. Maybe it can make it a full year. Also notable: After scoring 10 Oscar nominations, American Hustle is lingering in sixth place with $10.6 million. Devil’s Due, a new horror flick starring Friday Night Lights’ Zach Gilford and Terra Nova’s Allison Miller, was the fourth new movie this weekend, pulling $8.5 million.